The world of guitars is a magical one. But joining that world can be difficult. Lots of guitars are difficult to play, and for novices or smaller musicians, can be difficult to get to grips with. The Martin LXM Little Martin Guitar is the solution to this problem. It provides you with immense playability in a model that you can take anywhere with ease. Even the littlest players can get to grips with every inch of this guitar. 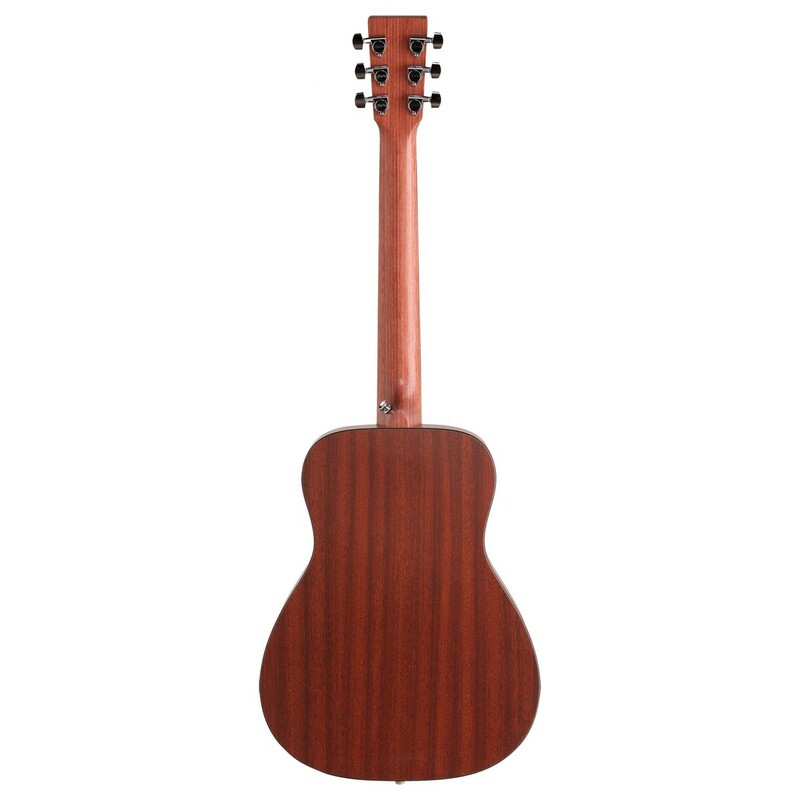 Its small body size gives superb access to its strings and frets. This compact profile also means you can travel with your instrument with ease. But don't let it deceive you. It packs powerful, natural sound that will suit any playing style. 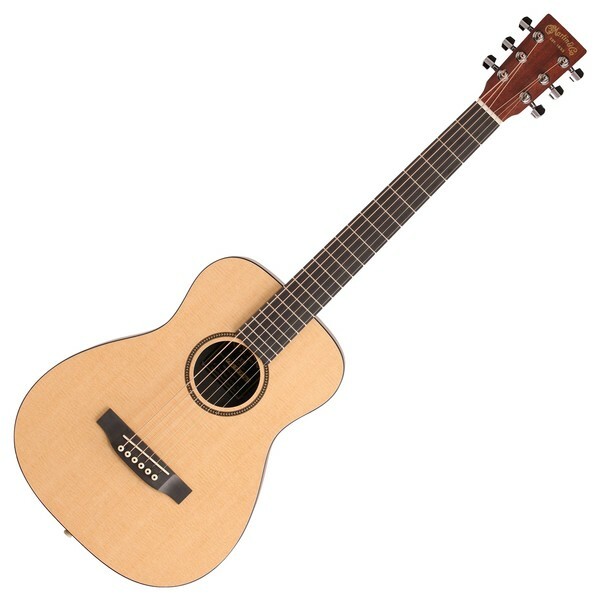 A superb all-rounder to delight beginners and seasoned musicians alike. The Little Martin will surprise you. It's small. That's obvious. But you shouldn't be fooled by its petite stature. 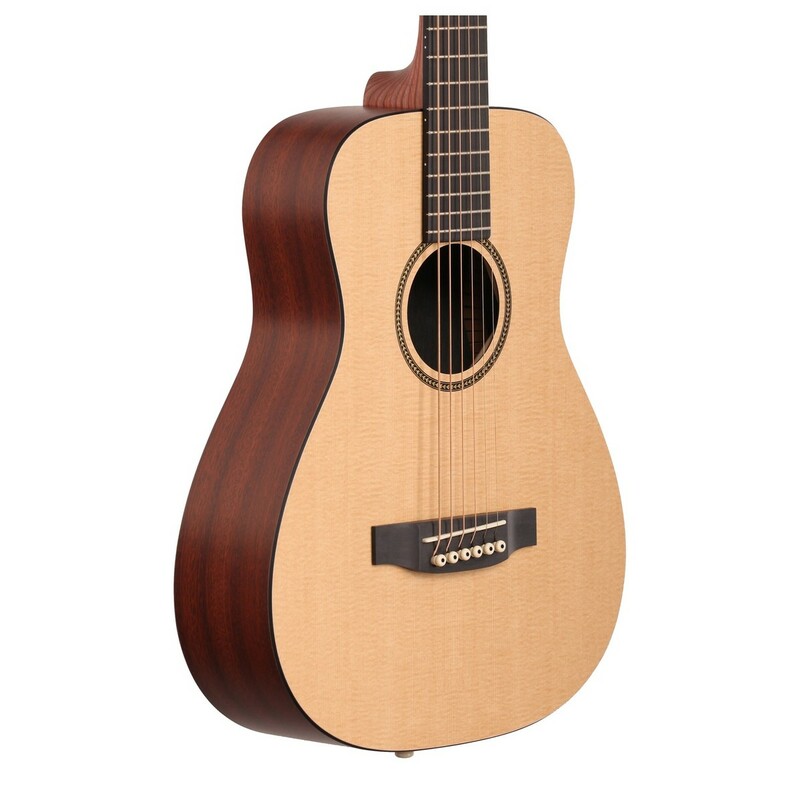 Because Martin have crafted it to deliver warm, natural resonance and a wonderful tonal palette that will suit any genre. A broad dynamic range is created by high pressure laminate used for the guitar's body. This responds well at all playing frequencies, helping to deliver both rich low notes and sparkling highs. Added definition and crispness is brought by the richlite fingerboard, affording an extra sharpness to your music. It might not look like much, but the Little Martin possesses fantastic overall sound that many bigger guitars should be envious of. Playability is vital in a guitar. It's no use having an instrument that delivers terrific tone if it's awkward or difficult to use. 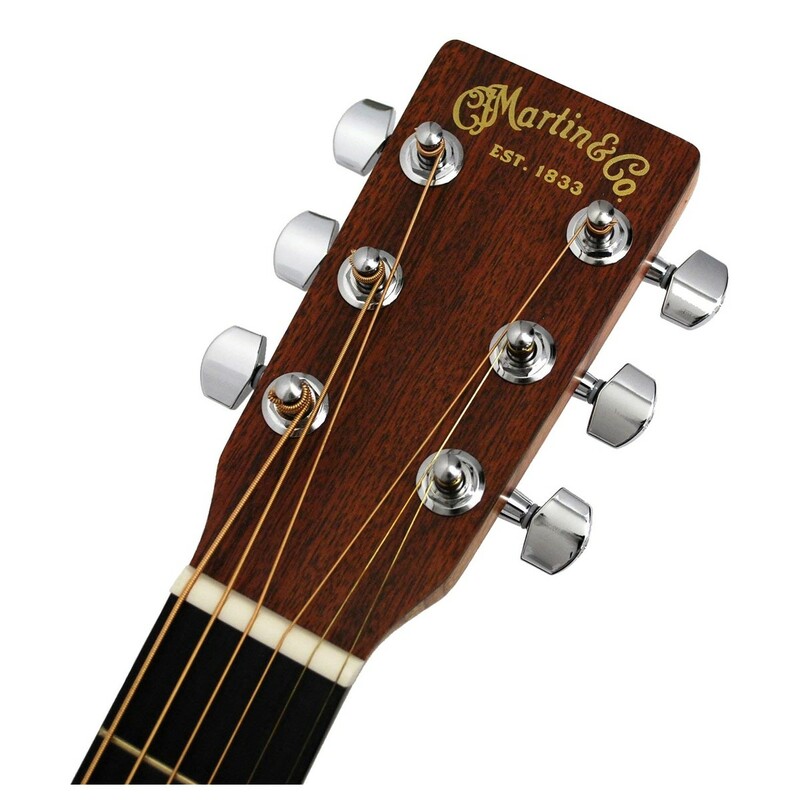 The Little Martin represents the pinnacle of playability, loaded with a stack of features that are designed to make your playing experience better and more enjoyable than ever. You can play with speed and dynamism thanks to the guitar's rust birch laminate neck with a hand rubbed finish. This increases the slickness of the neck, and makes moving up and down it much easier. Perfect for nailing those fast-paced chord sequences. Its tapered profile provides comfort, allowing you to play on for long sessions without strain or cramp. And the little body size gives greater access to the strings, making it perfect for smaller musicians, or simply anyone looking for a guitar that's easy to play. Let your creativity flow without ever being restricted. Superb sound quality in a model that's easy to take anywhere. The LXM Little Martin brings all of the company's legendary tone and playability into a small instrument that can be transported simply and without fuss. Its small-scale profile means you can easily carry it on your person, making it perfect for travelling to lessons, practice sessions, or shows. With a soft gig bag included to make transportation even easier, this is an amazing instrument that you'll never need to be without.